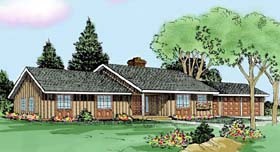 The exterior of this design is a simple, informal, country style; the interior layout is formal. 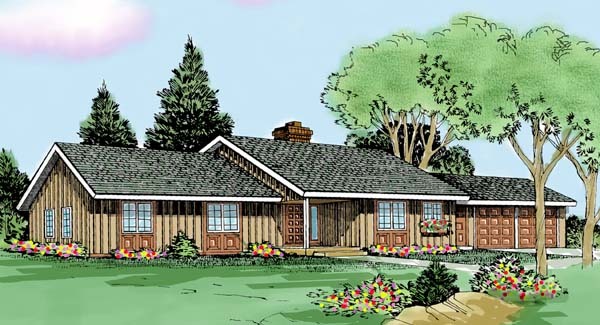 From the foyer and center hall to the distinctly separate rooms the home lives more formally. The spacious living room is the interior highlight, with it's vaulted ceiling and large fireplace. The living room opens onto a large covered rear porch, as does the formal dining room.